Failing to appear in court for any scheduled appearance is not only a serious violation of the law, but it can also lead to a bench warrant issued for your immediate arrest. It can also involve costly fines and driver’s licenses suspension. Failure to appear is a major crime and is often pursued aggressively by law enforcement, regardless of how full its dockets may be. If you are facing penalties for not showing up for a scheduled court appearance, don’t waste any time in securing legal representation. 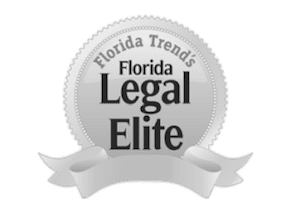 The Orlando criminal defense lawyers at The Umansky Law Firm have over 100 years of combined criminal defense experience and are dedicated to representing the people of the Greater Central Florida area. With experience as prosecutors on the state and local level, we have key insight as to how the opposition approaches cases and can use that to your advantage. What Will Happen After a Failure to Appear in Court? That’s a tough call to make and it depends on the facts of the case and your willingness to sit in jail. However, it always makes your attorney’s job harder when you miss court. This is because the State now has leverage on you that they didn’t have before. You significantly lessen your bargaining power when you miss a court date, now often resulting in a warrant for your arrest. This may introduce you to the stressful situation of having to look over your back until you get it taken care of. In such instances, if you didn’t have a lawyer before, you’d need one now. Your lawyer could file a motion to quash the warrant or have it set aside. In some cases, you can get that taken care of before having to turn yourself in, but some judges will require you to turn yourself in first before you can even address your case. Due to the negative impact missing court could have on your case, it is essential that you do your due diligence to attend all required court dates. If schedule conflicts or other factors are interfering with your ability to appear in court, share such information with your legal representation. Your lawyer can make you aware of your options including excusing you from the initial court dates. Do not wait for the police to find you. We have experience defending cases involving failure to appear. At The Umansky Law Firm, we stand by your side throughout the entire process, starting with the initial appearance in court following the bench warrant. Taking action on your own and admitting the mistake could also minimize the consequences you face. While securing the services of a knowledgeable attorney can also help you avoid a possibly hefty bail and remove your “flight risk” status. If that wasn’t enough, appearing before an arrest allows us to negotiate the terms of your release and the possible dismissal of the bench warrant. If you are charged with failure to appear, call our Orlando criminal defense attorneys to schedule a free case evaluation. Our attorneys have helped over a thousand clients and are prepared to hear your case out. With involvement in hundreds of Florida courtroom cases, the Umansky Law Firm will ensure you are in good hands. You can contact us through our website or call (407) 228-3838.